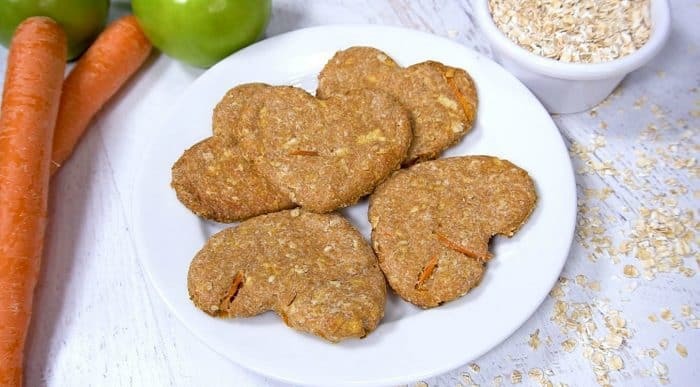 How to make Apple Carrot Dog Biscuits is an easy recipe. 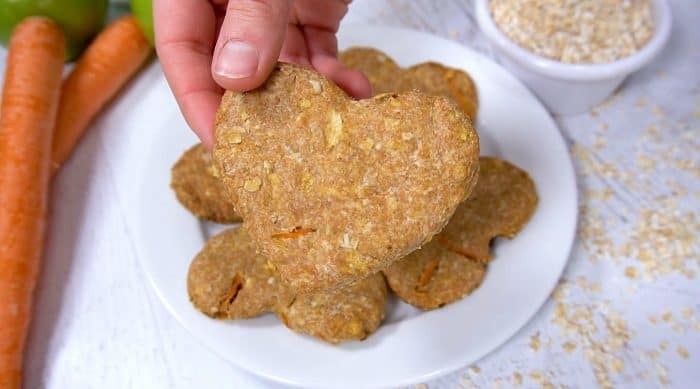 Homemade dog biscuits are the perfect hostess gift or stocking stuffer for your dog-loving friends. WATCH THE VIDEO! Friends, are you looking for the perfect hostess gift or stocking stuffer for your dog? 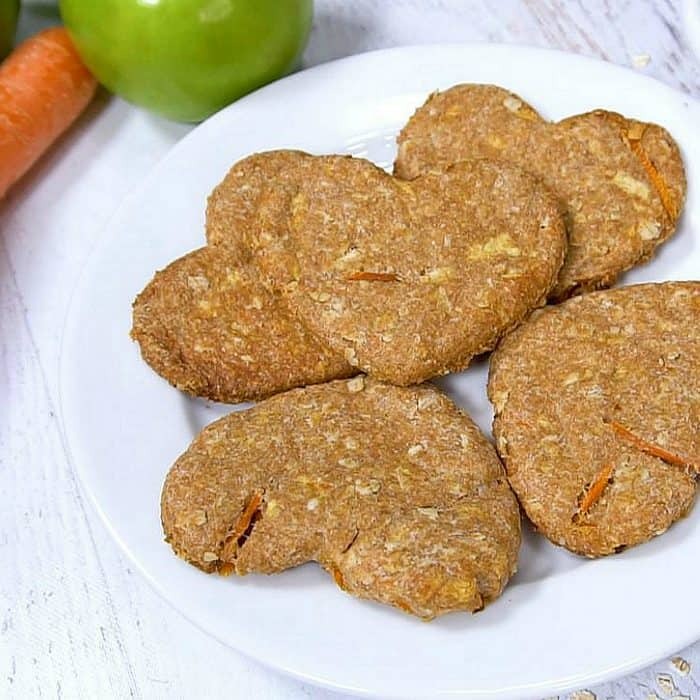 Today I’m sharing a delightful recipe, and a video: How to make Apple Carrot Dog Biscuits recipe, and it’s perfect for your pet-loving friends! Secondly, let’s get it right. When guests come to your home for the holidays, this statement is true. We have 2 very rambuncious dogs that love to greet our guests at the front door. Alder, being a 6-month old Whoodle, and Haggis, a more mature 14-year-old Cairn Terrier. Both adorable. In our eyes. 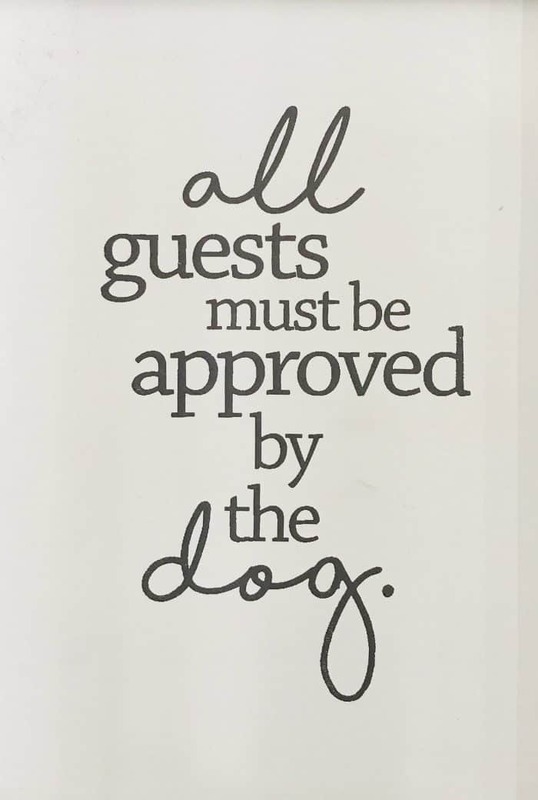 But we’ve learned that not every guest is a dog-lover, so we have to quickly put our dogs away. In fact, I wrote a post awhile back on, Pet [Dog] Ettiquette when Entertaining. In our house, any guest that befriends our dogs is an instant favorite! This recipe comes from our friend, Jessica, who has a beautiful Pit Bull, Marz. It’s for all you fellow dog-lovers out there, and perfect for gift-giving season! You make as you would any other cookie, using your favorite shaped cookie cutter. Make, bake, and allow to cool. 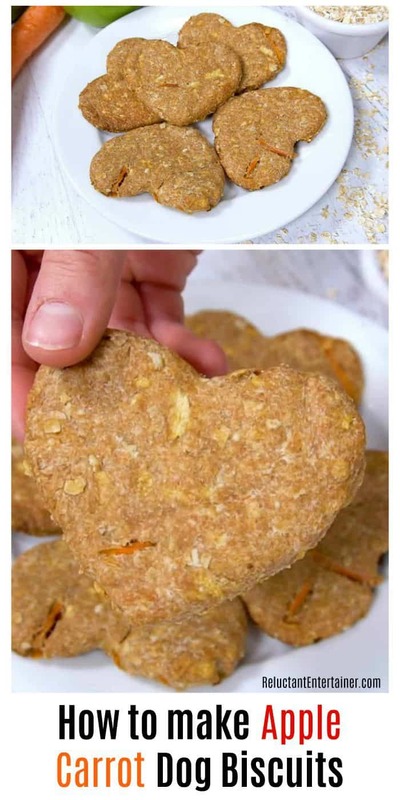 One reader used half almond flour and half all-purpose flour, adding 1 1/2 teaspoon of flax seeds, and they turned out great. Then stack the treats, and tie together with a big bow. Place in brown paper bags (you can decorate, or buy decorated bags), and GIVE AWAY! You can also spoil your own pooch with a bit of extra pizazz added to their stockings – homemade dog treats! 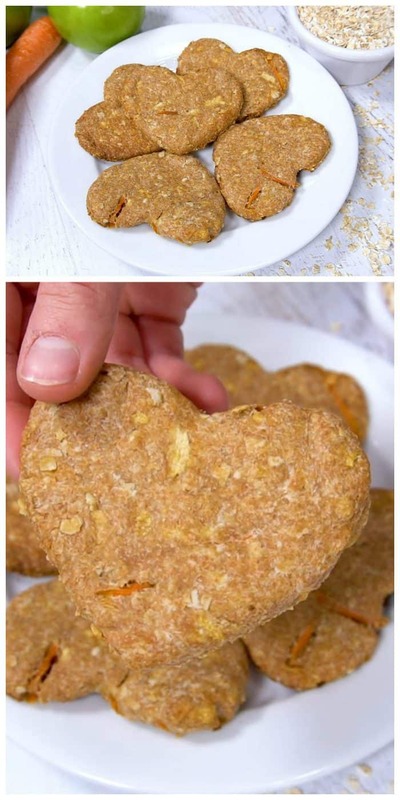 Use a small cookie cutter to make about 20-24 biscuits! So watch the video and see how yummy and easy this recipe is to make! ENJOY! 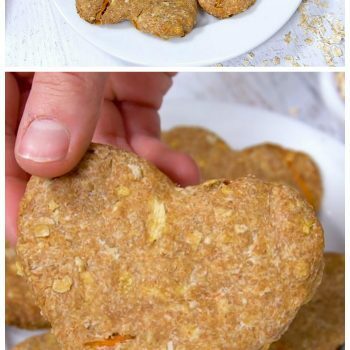 Have you made homemade treats for your pets, and if so what’s a favorite combination?